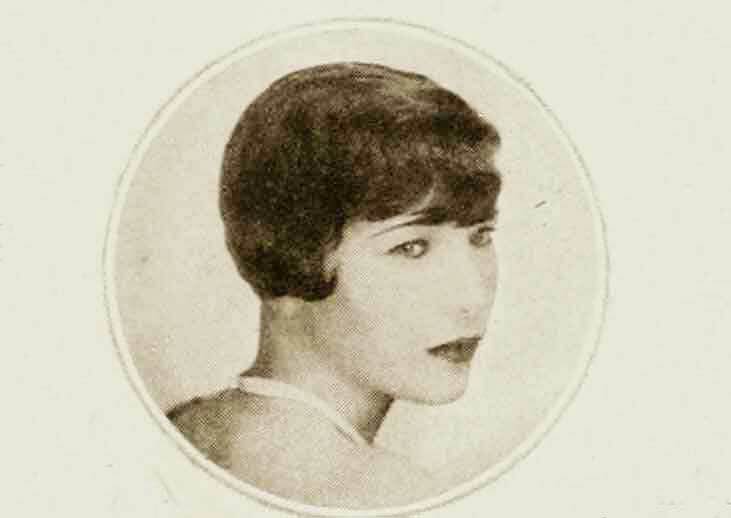 1920s hairstyle report by Agnes Smith. It isn’t Mr Antoine, nor yet Monsieur Antoine. It’s just Antoine. And that is fame ! Monsieur Antoine – the inventor of “The Shingle” is one of the reasons why girls leave home to go to Paris. the other reason, of course, is to get a divorce! In settling domestic situations or in arranging coiffures, Paris is still the centre. This elegant young man ( born in Poland ) came to New York for a brief hectic visit in November just past to establish a salon at Saks Fifth Avenue. Antoine descended upon the Big apple like a zealous missionary intent on bringing true culture to the heathen. I watched him at work turning girls into women, and women into stop and stare stunners. I saw him chase one woman from his salon, who had just refused a soft curl over her preferred tight frizz. “So what’s wrong with American bobs?” I asked him. “Pas de raffinement.” came his reply, or “no refinement” to you and me. Antoine with his little safety razor blade, literally models the hair to the shape of a girls head. Briefly, here is the principle of the new bob cut. The hair is cut short in the back. the neckline which in unexpert hands, usually makes a woman’s neck look like a second baseman’s, is shaped into a delicate fringe-like bang. 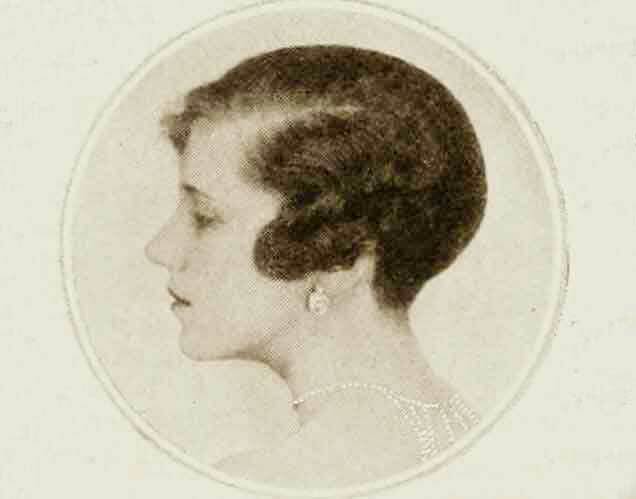 The hair is thinned back to the ears – “most American hairdressers leave it too long and too heavy”. Antoine leaves the front and the sides of the hair long. these strands of extra hair are given a soft curl and swirled back. 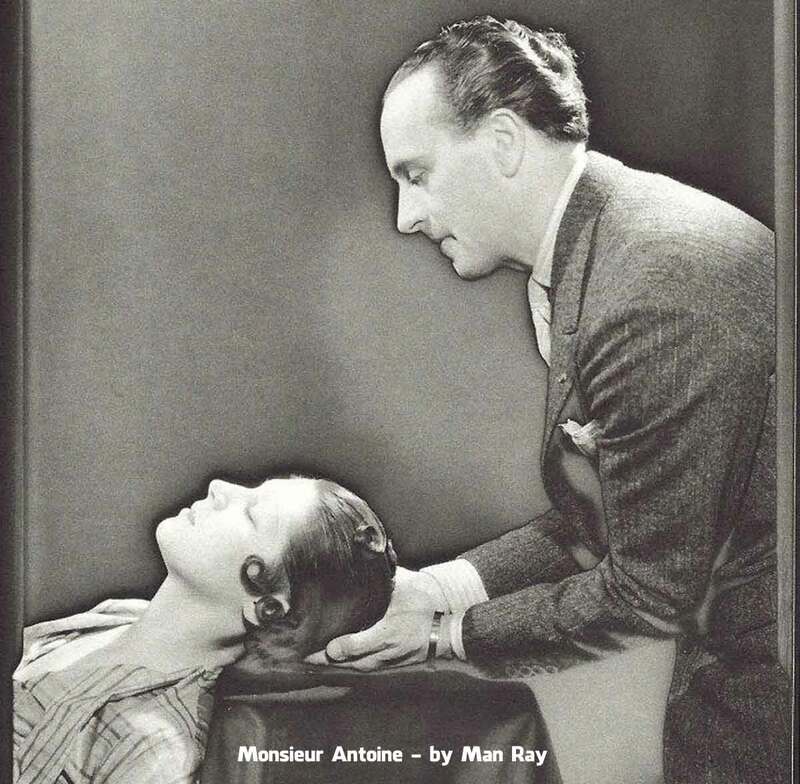 For an evening coiffure, Antoine catches these long hairs and makes them into soft curls, high on the back of the head. Antoine’s French coiffures are as varied as the individuals whom he serves. “Elegance est la simplicité!” he exclaimed to me. 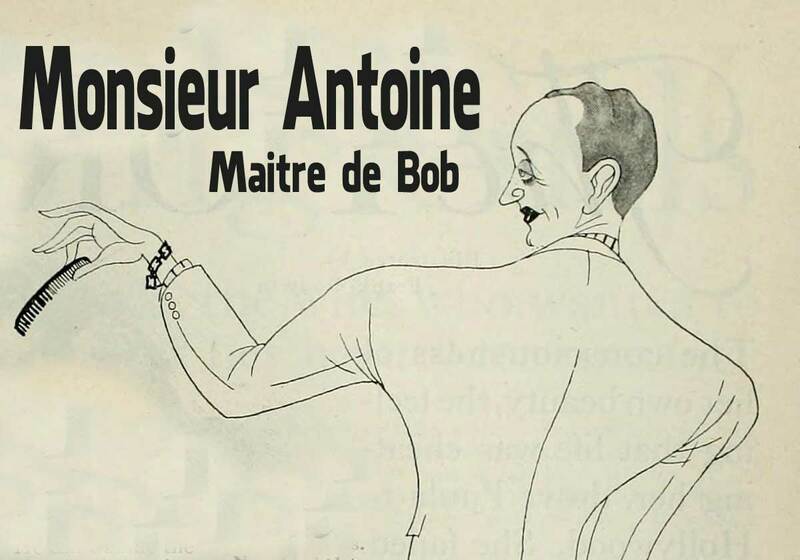 Antoine’s favourite bob – this one illustrating the covered ear. 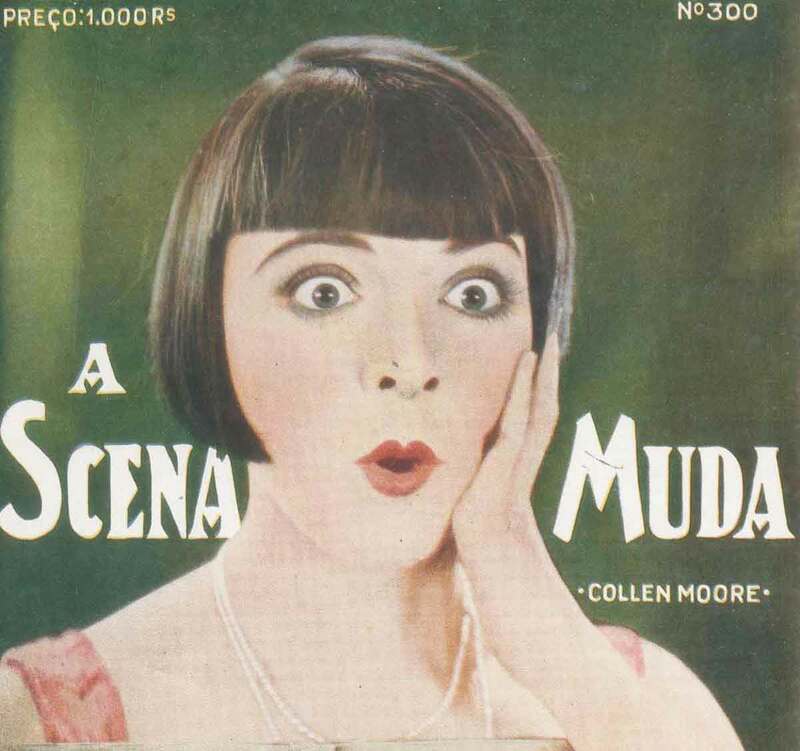 Despite the current vogue for the square cut “Dutch” bobs like those of Colleen Moore, Antoine is not a big fan. “il est trop sévère”. The exotic bob – extreme but elegant. For the slender face only. In Paris, the tight wave is also out, with Parisian women now preferring soft, wide and natural looking hairstyles. Any style of hair design which destroys the natural contour of a girls head is ridiculous in Antoine’s eyes. 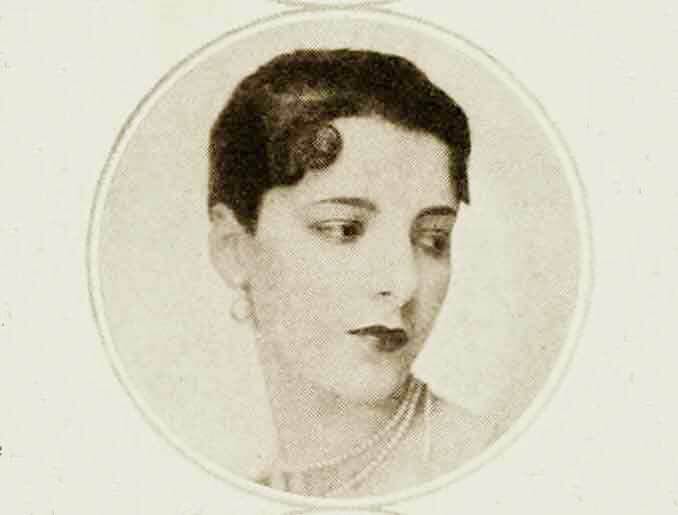 His famous shingle, popularised by Irene Castle during the war, with its slanting cut down to the earlobe, is designed to maximise the natural head shape. The full rounded back of head and soft wave. When he arranges a coiffure, he considers first the shape of a head, then the hairs texture. Weight, height and age are secondary considerations. It is not surprising to learn that Antoine was a sculptor before he started cutting women’s hair. “What are your favourite Hollywood bobs?” I then ask him. 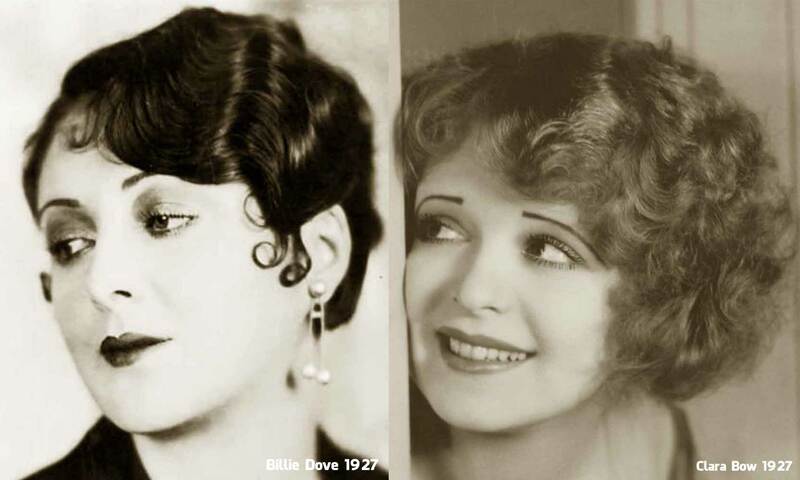 He approves of Billie Dove‘s hair, with its soft waves and ears showing. He also liked Clara Bows, though he thinks it could be thinned a little more. 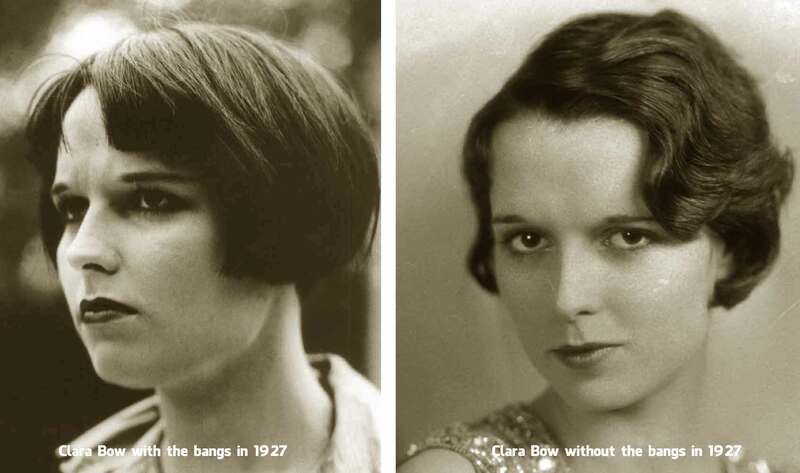 He thinks Louise Brooks new wavy coiffure is an improvement over the square short bob she has discarded. “Maintenant elle est féminin !” he concludes.